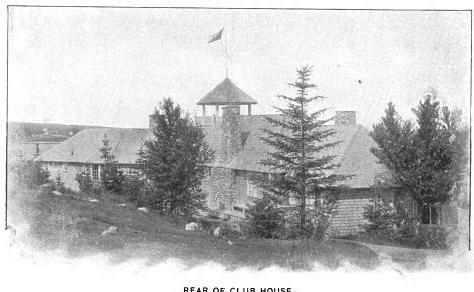 I’m a sucker for ‘then and now’ photo essays. 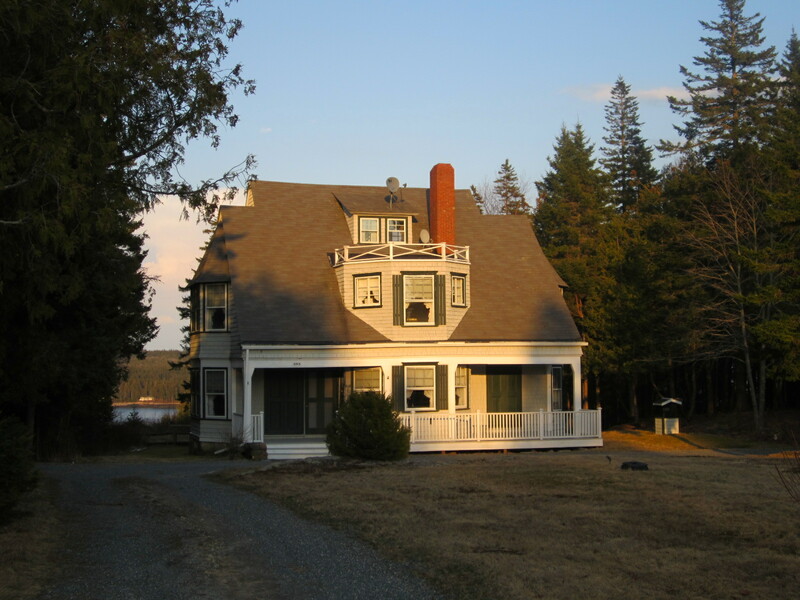 Sadly, the ‘now’ is rarely as good as ‘then’—collectively, we are not making the world a prettier place—but there are exceptions, as you will see in today’s post. 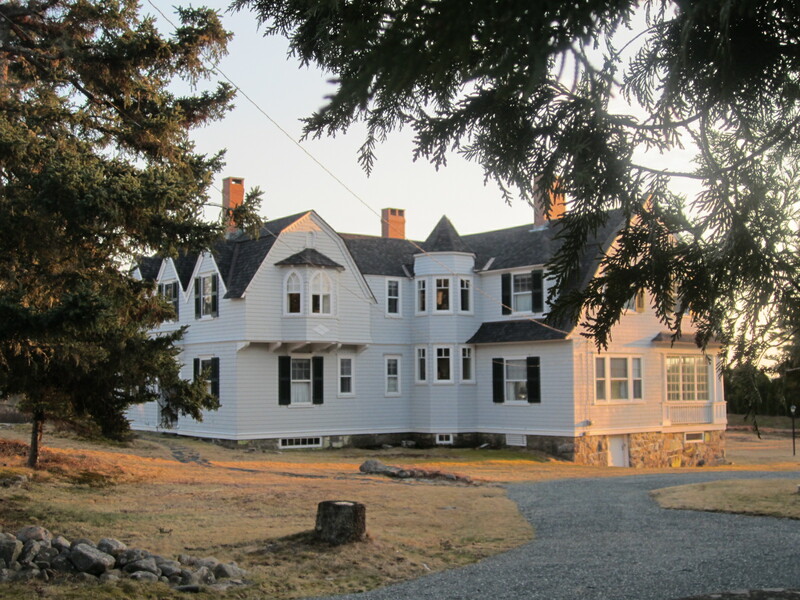 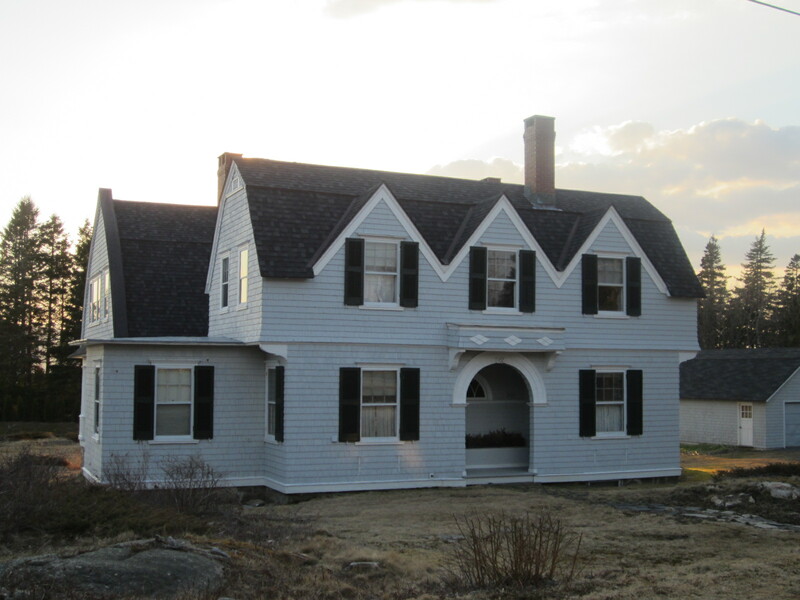 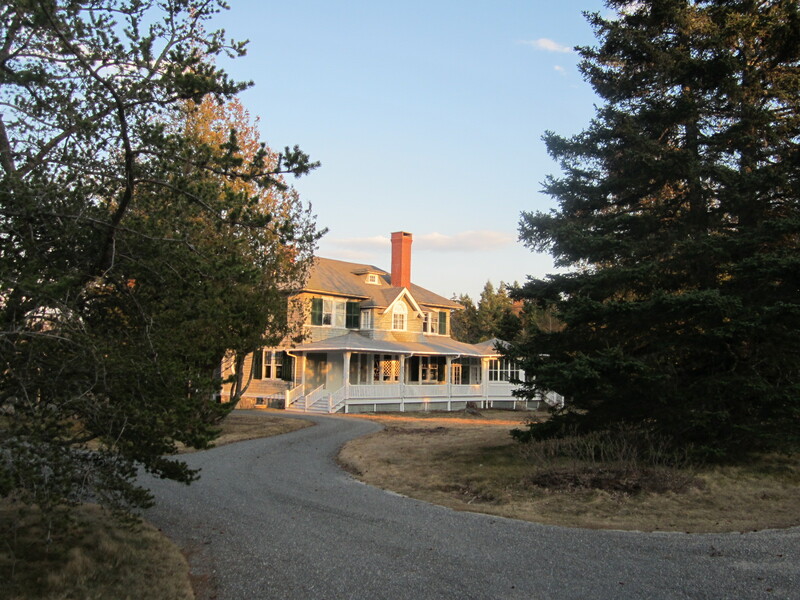 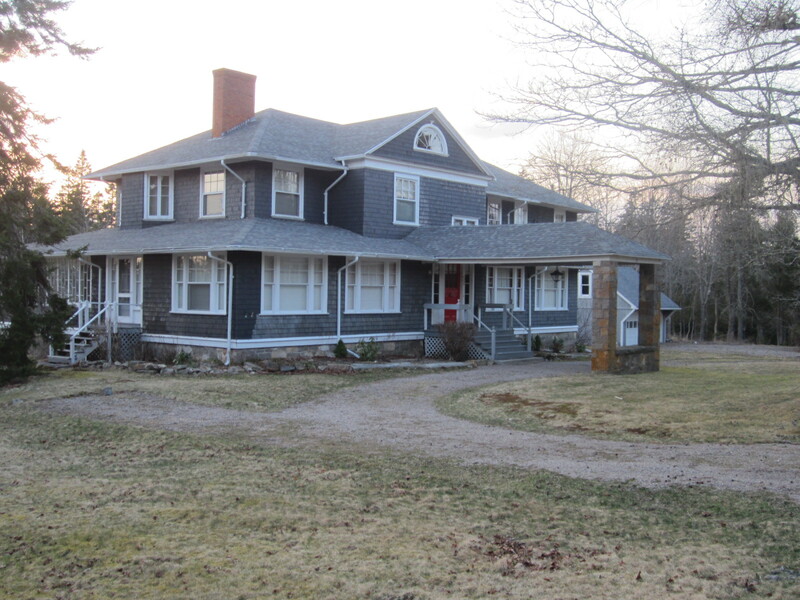 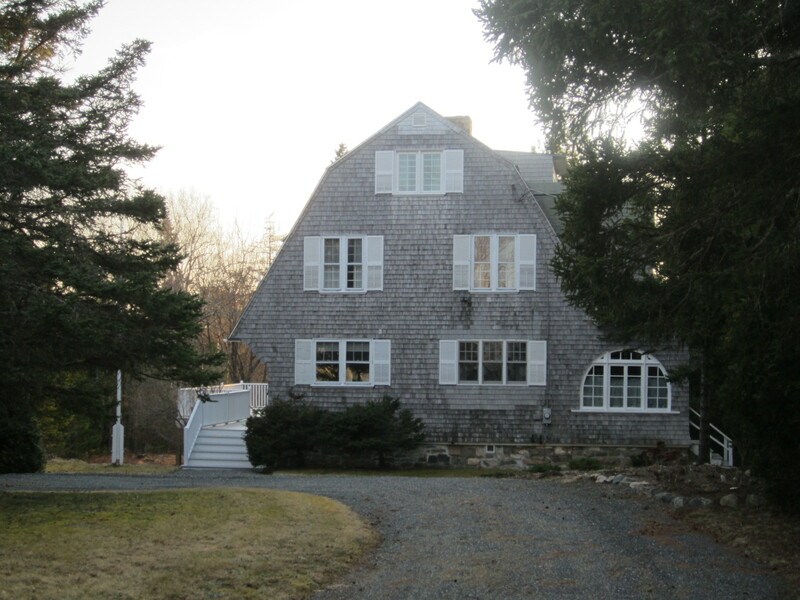 Grindstone Neck in Winter Harbor is a small but elegant summer colony on the Down East coast—in fact, the easternmost outpost of the genre in America. 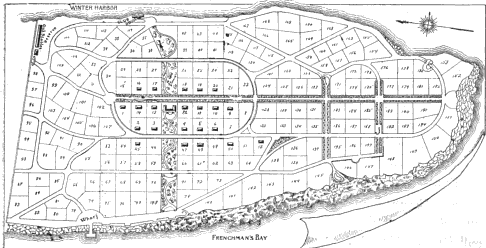 Nathan Barret’s original plan for the Grindstone development, with inn at center, yacht club at top, and steamboat landing at bottom. 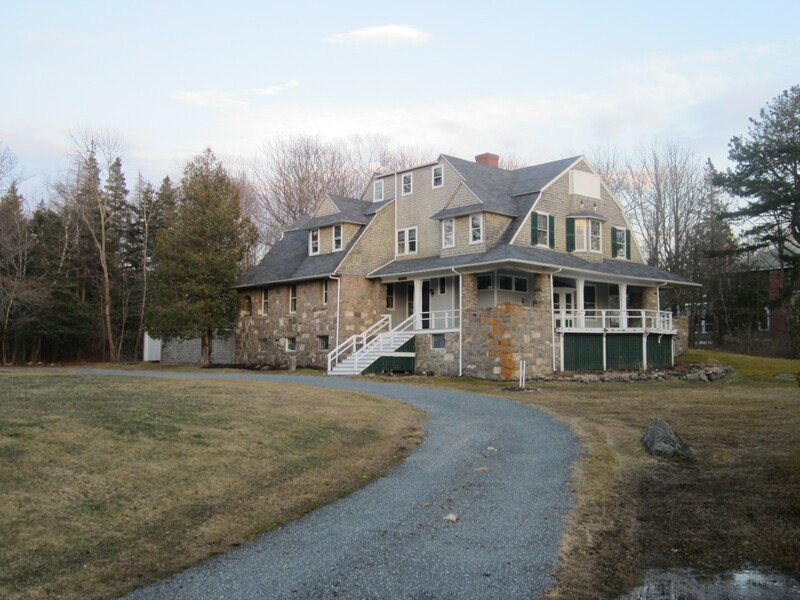 Grindstone Neck happened almost overnight. 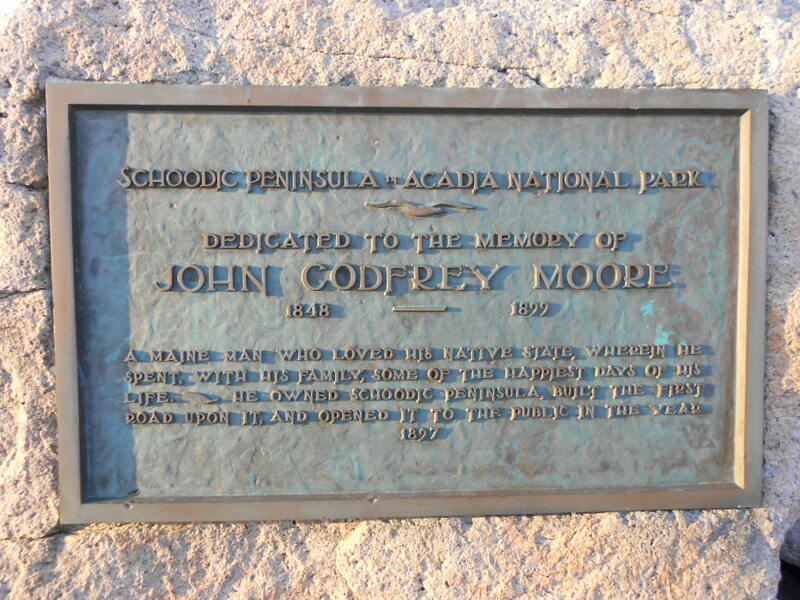 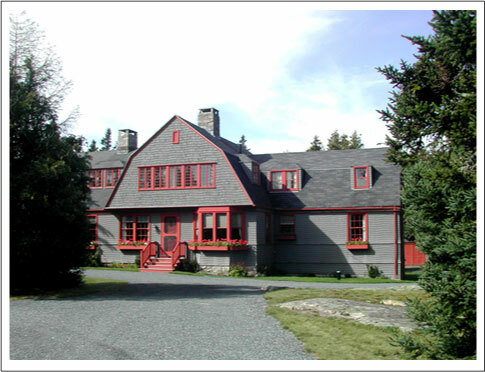 John Godfrey Moore, a native of the nearby village of Steuben,went to the big city, made his fortune in railroads and finance and returned home, buying Grindstone Neck, as well as the even more spectacular Schoodic Peninsula, now part of Acadia National Park. 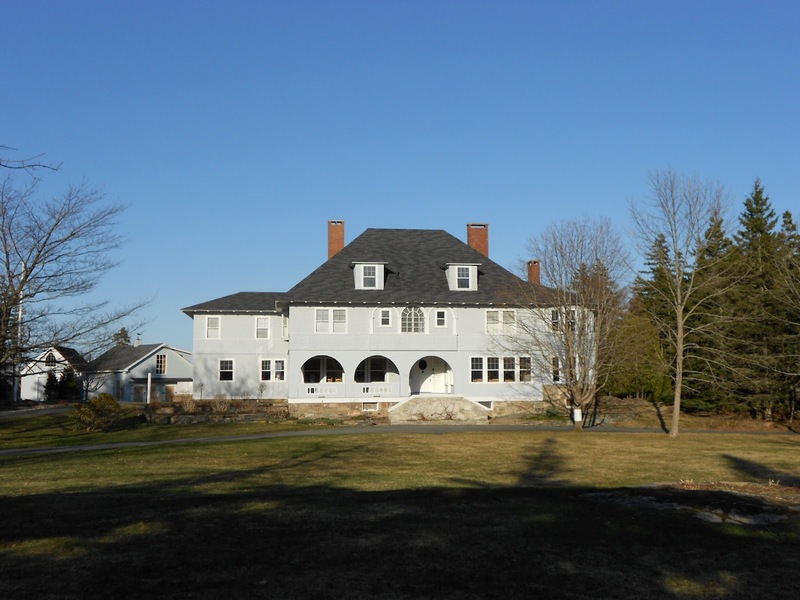 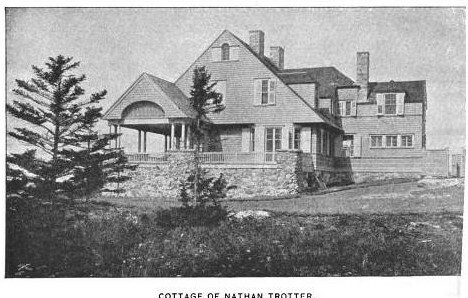 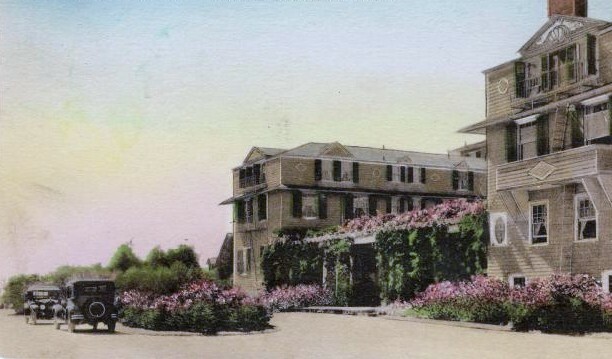 The Gilded Age was coming into its own, and Bar Harbor, only four miles across Frenchman’s Bay, had become known as one of the fashionable stops on the international social tour, Mr. Moore, by now a New Yorker and group of like-minded investors, all Philadelphians, sought to replicate that success by creating a first class summer resort at Winter Harbor. 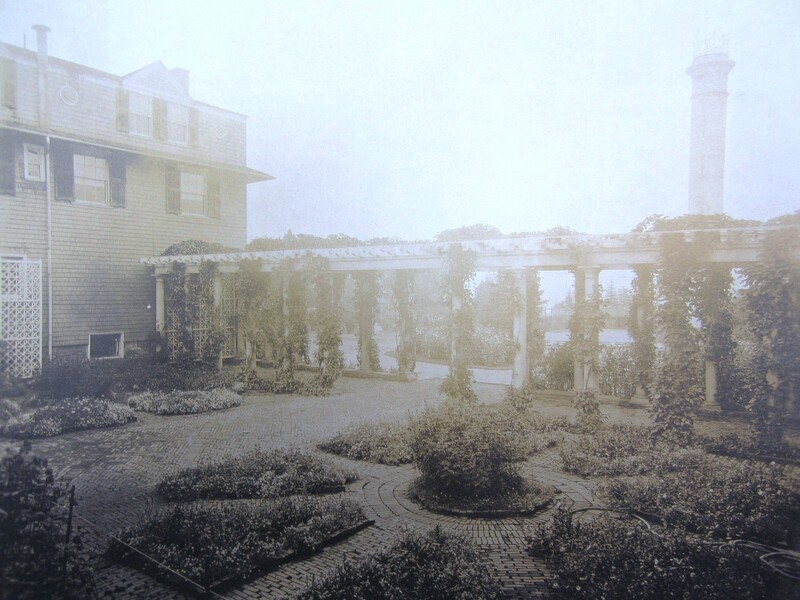 To do this, they formed the Landscape architect and engineer Nathan Barrett was engaged to layout the plan of the point, with lots and roads arranged around a central oval. 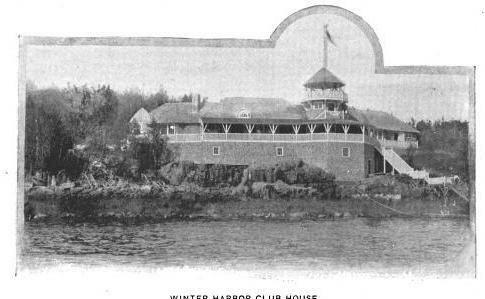 A water company was formed, plans were made to build a hotel, a yacht club, a swimming club and casino, and a steamer landing, amenities designed to attract potential buyers. 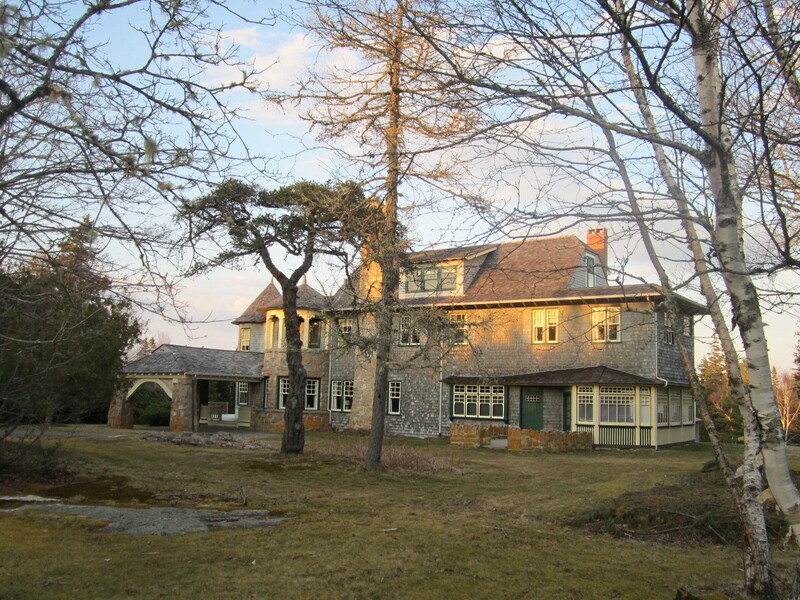 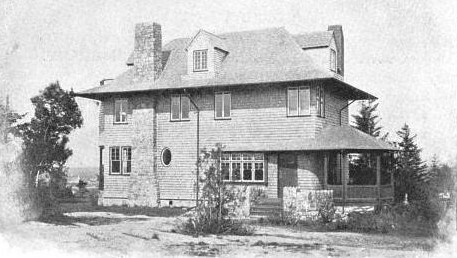 To design these buildings, a young Philadelphia architect, Lindley Johnson, was hired as company architect, also available to design cottages. 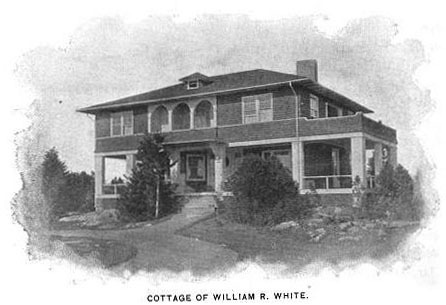 Although he designed other prominent architects also executed commissions, including Wilson Eyre of Philadelphia and W.W. Kent of New York, who designed Godfrey’s own cottage. 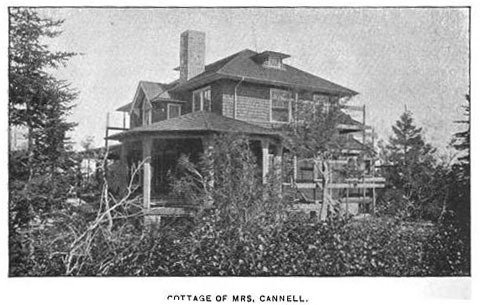 The first lots were put up for sale in 1890, with deed stipulations requiring that cottages be built within a year, and that the minimum cost be $3,000.00. 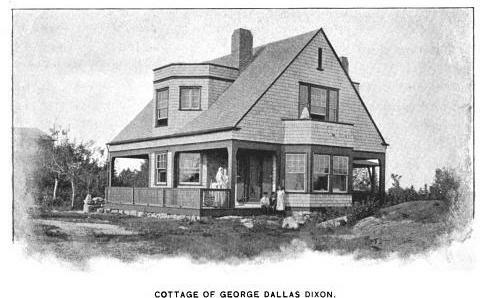 By 1891, Grindstone Neck, but a gleam in the developer’s eyes just two years before, had appeared like magic, and within two more years, the majority of the 40 or so cottages built on the neck over the last hundred years were completed. 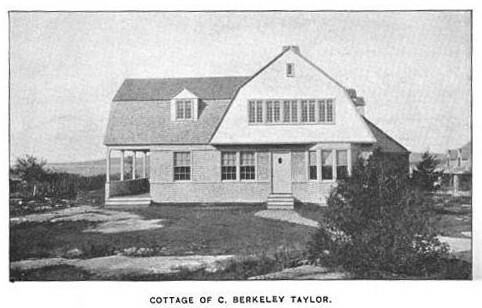 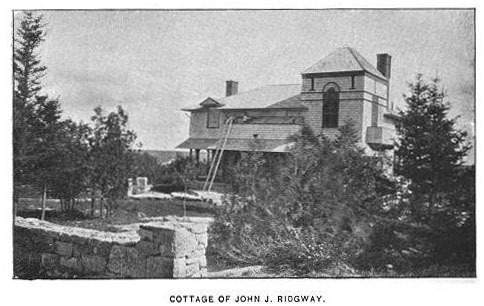 Almost all of the cottages were built of natural materials, shingle and stone, nary an Italian villa or Georgian manor in the bunch. 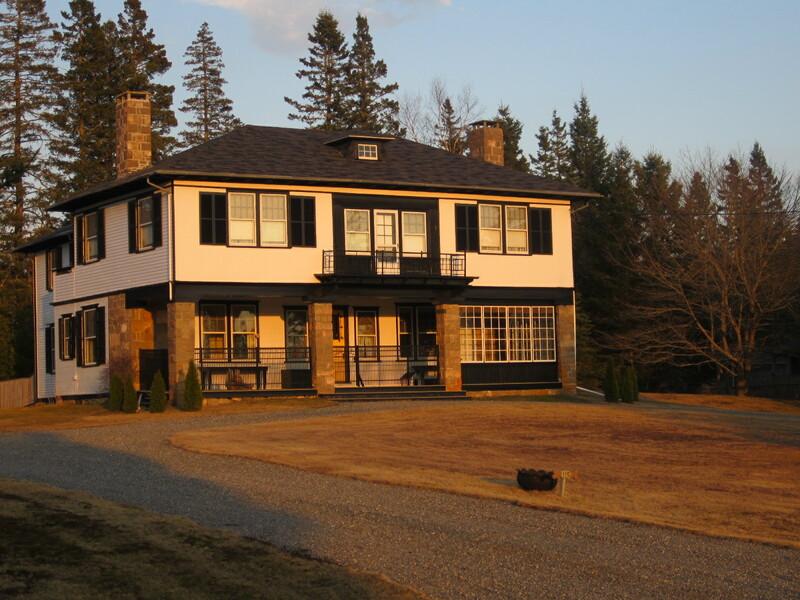 Several were clearly influenced by Bruce Price’s published work at Tuxedo Park, the ultimate resort development of the era. 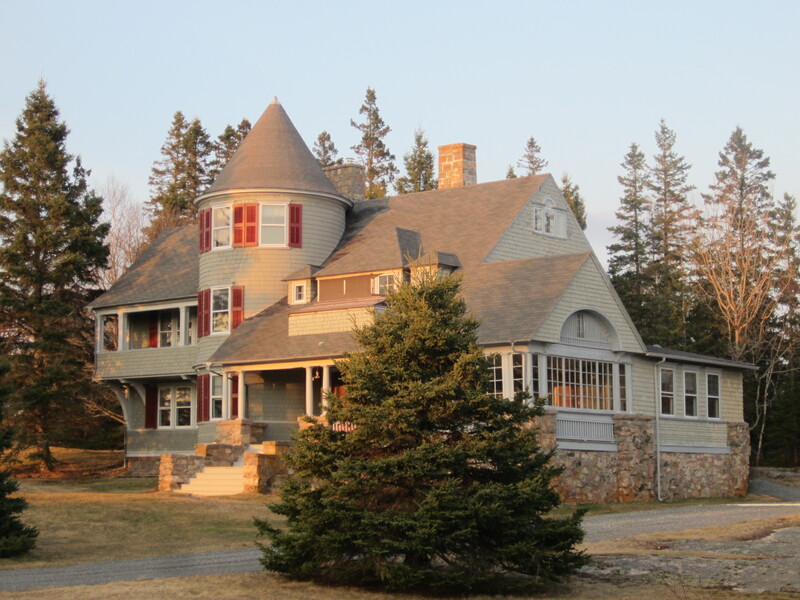 In a collective master stroke, landscaping was minimal—no more than was need to help the natural landscape of granite, blueberry and spruce achieve full beauty. 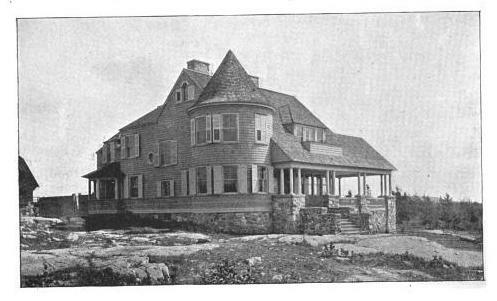 Soon the New York Times had added Grindstone to their weekly accounts of summer social doings on the eastern seaboard. 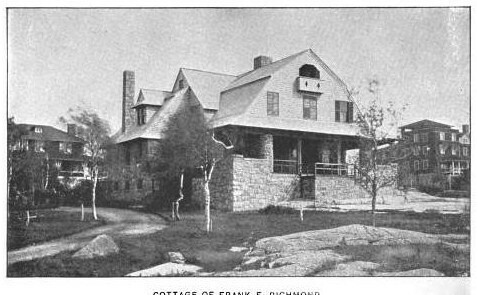 As with most of the Maine coast, the original colony was heavily Philadelphian (the epicenter, Northeast Harbor, was known as ‘Philadelphia on the Rocks’), with many families returning generation after generation. 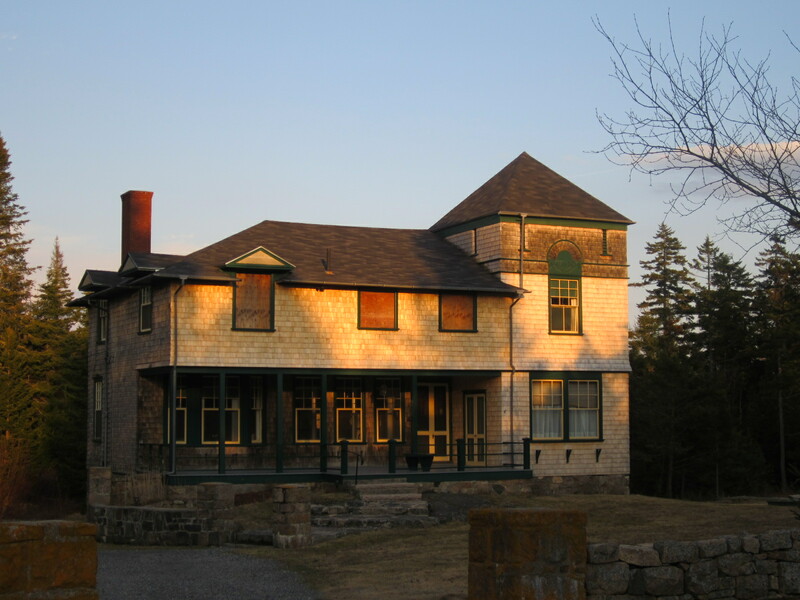 Grindstone did not grow significantly after that first burst of development. 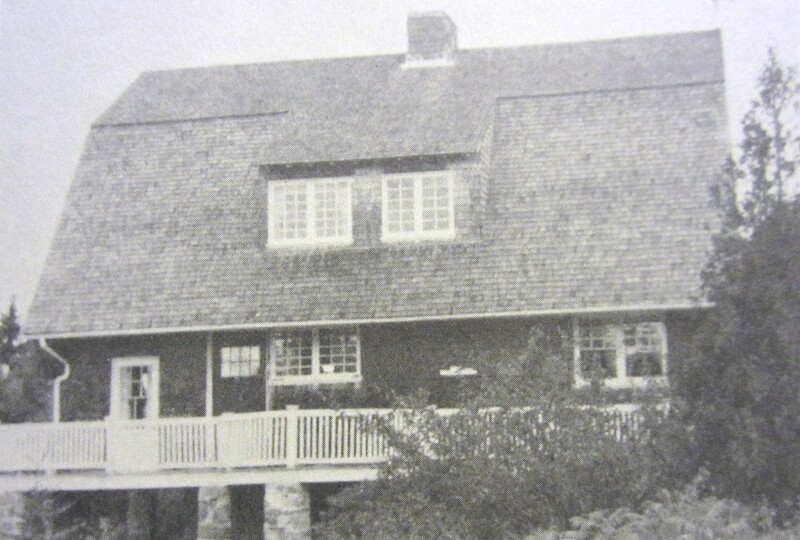 After the Depression and WWII, a few cottages were demolished, and in 1956 the Grindstone Inn burned. 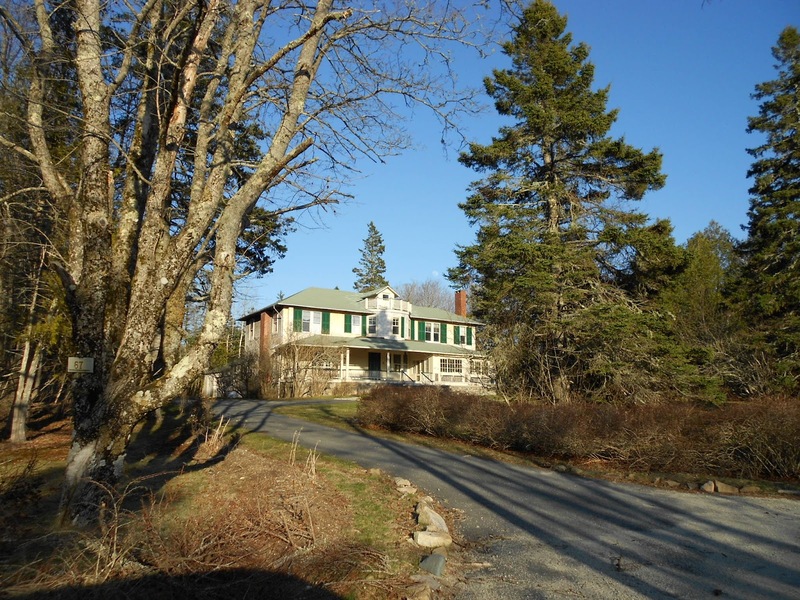 Today, trees are taller, roads are paved, but otherwise time stands still in this corner of Down East. 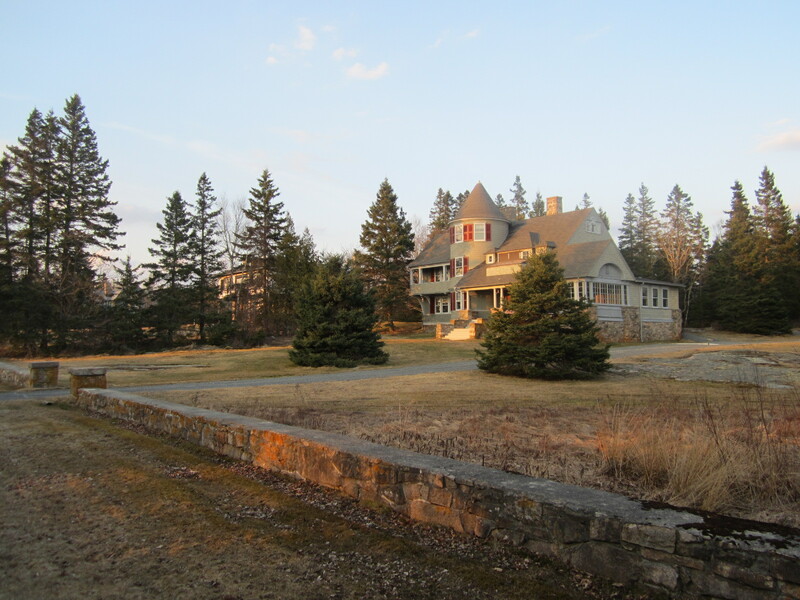 After looking at a copy online of the Gouldsboro Land Improvement Company’s 1892 promotional booklet, proudly displaying several of the cottages that had been built in those first two years, I took a late afternoon walk on Grindstone to see how many could still stand, and how they have fared. 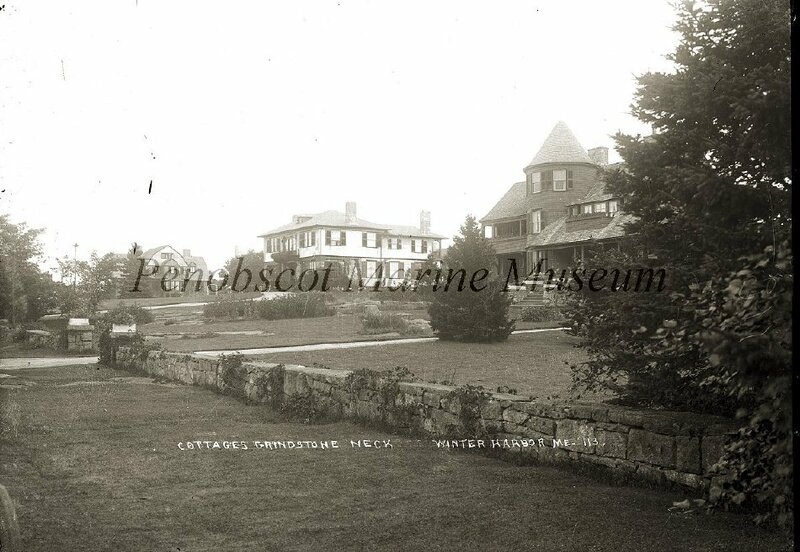 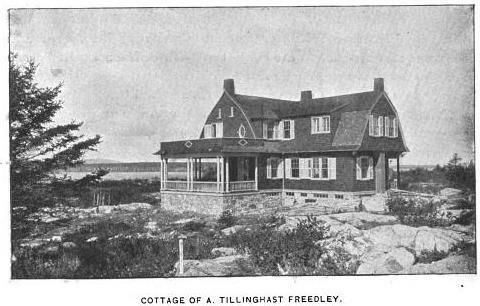 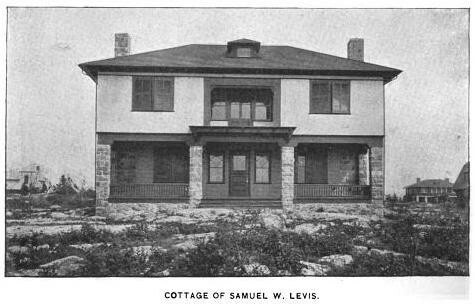 Of the 15 cottages pictured in 1892, 13 still stand, some barely altered, some greatly enlarged. 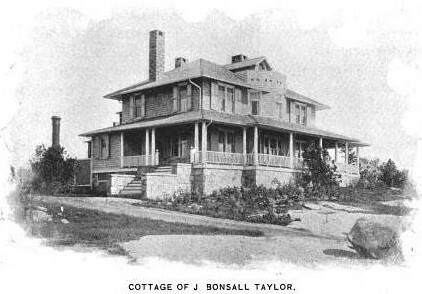 With two exceptions designed by Wilson Eyre, all are the work of Lindley Johnson.